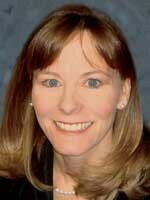 Patricia F. Kuehn, J.D., M.A., concentrates her practice in jury behavior research and related consulting services. She holds a Master’s degree in Social Psychology with an emphasis on jury behavior. She uses her knowledge of juror decision making and more than 12 years of litigation experience to advise clients on strategic jury selection, case strategy, case theme development, and courtroom persuasion.